Over the last 3-4 years, I've missed very, very few Avalanche games. This year, I don't have DVR capability so I have fallen a bit behind on my Avalanche current events. The reason for missing last Friday's win against the Rangers is because I attended the 5th annual Ivy Sports Symposium at Princeton University. The Symposium "aims to help students and professionals acquire invaluable knowledge about the business of sports from the most successful executives in the industry while also providing attendees a forum for debate and interaction"
My goal over the next four years is to position myself so that I will be able to enter the sports industry. I still haven't decided what that ultimately means, but this event gave me a wealth of knoweledge and tips, and presented a great platform on which I can explore my options and meet people who are living the life that I aspire to live. The speakers at the event, which consisted of various roundtable disucssions ranging from "Athlete Marketing and Representation" to "Ownership and Finance" were as diverse as they are influential in their respective fields. Hockey fans will recognize Commissioner Gary Bettman - who participated in the Keynote Roundtable - and Deputy Commissioner Bill Daly as two of the most influential names on the speaker list. It was an exciting day that started with the Keynote Roundtable at 10 in the morning. The moderator, David Falk (Michael Jordan's agent in the 90s) was joined by Bettman, Harvey Schiller and Peter Moore (President of EA Sports) in a discussion on lockouts, revenue sharing, paying college athletes, and more. The first question posed to Bettman? You guessed it. Much of the early part of the discussion focused on Bettman, as he defended the NHL's decision to shut its doors in 2004-05. Bettman: "If you're going to have a work stoppage, you better fix your problems"
Bettman mentioned that the NHL is the only business to close for an entire year and live to tell about it. "If you have problems, you better address them because they're only going to get worse. Falk then asked, Did the Lockout work in hockey? Peter Moore gave his perspective and, based on the numbers, "business has grown." "[The NHL] fan base is the deepest and most-connected and is by far the most engaged of all [our] franchises, including Madden and FIFA." Moore stated that EA is "much better off from the lockout as a licensee." To all of this, Bettman jokingly responded, "Maybe we should re-negotiate." The discussion shifted to the intercollegiate landscape. Bettman made it clear that he wished that there were more D1 hockey teams because it helps with development. Bettman: "Try to make a deal, a fair deal that works for both sides, without a work stoppage." "...must identity problems - don't make a deal for the sake of making a deal." "...it sells fans short if you make a deal just to avoid a work stoppage"
My head definitely perked up a bit when someone asked about the role of the media in labor negotiations. Bettman expressed his concern that once something is blogged, it gets repeated and repeated, but the original blog wasn't factual in the first place. Bettman: "The NHL doesn't have to rely on media"
He pointed out that he has his own radio show, where he can talk about whatever he wants and howeve he wants. "Hockey fans are the most intelligent, most affluent, and most tech-savvy." Overall Thoughts: The hour or so discussion tried to put Bettman on the defensive with regards to the lockout. He's an exceptionally capable speaker and was able to lighten the roundtable considerably. He and Harvey Schiller had a couple nice jabs at each other. After a couple lunch presentations, I chose to attend the "Athlete Marketing and Representation" roundtable which featured a lot of high-powered agents, but very little hockey talk. The same held true for the "Marketing Agencies" roundtable which included Michael Levine of CAA sports, the company that represents Sidney Crosby, Evgeni Malkin, and the Sedins (among others). Then the roundtable I was most looking forward to - "Leagues." The panel had a representative from each of the four major sports (minus football due to a last minute cancellation by Mark Waller, the Chief Marketing Officer of the NFL). Led by Tom Van Riper of Forbes Inc., Bill Daly, Bob Bowman (President and Chief Executive Officer of Advanced Media for Major League Baseball) and Joel Litvin (President of League Operations for the National Basketball Association) discussed the various issues facing each of their leagues. Daly discussed the advantage that the NHL has by having two more years to negotiate a new CBA. It is beneficial because they can watch the NFL go first. The "NHL will step back and observe how those negotiations play out." He referenced (eventual) new leader of the NHLPA, Donald Fehr, and how Fehr has made a career out of resisting salary caps. Daly also mentioned that Fehr is very similar to former NHLPA Executive Director, Bob Goodenow. He pointed out that players currently get 57% of hockey revenue and that, from a player's perspective, the salary cap has been "a good system" and that the "average salary has increased." Daly followed Bob Bowman's answer about MLB's various live streaming and video options by talking about NHL GameCenter. He also asserted that "Digital media is one of the most important and most dynamic aspects" (especially in the NHL). He discussed the decision of the NHL Board of Governors to invest in controlling each club's website and briefly explained about the dispute between the NHL and New York Rangers, who were the one team to vote against the Board of Governors. In all seriousness, he flat-out said that the NHL had "no plans" for expanding. On the possibility of relocation, he mentioned that the NHL has been stable, that they haven't expanded in 15 or so years. The NHL "takes seriously the commitment of fans and cities." Without naming names, he went over the public litigation that ensued over Jim Balsillie's attempt to buy and move the Coyotes. He also announced that the "NHL is moving towards an ownership transition to give Phoenix a local owner." Bob Bowman praised the NHL for doing a "terrific job" in the Balsillie case. Daly bluntly said that the NHL is "not prepared to add European franchises" (at least in the near future). He did express that it COULD happen one day and that a large amount of traffic to NHL.com is from Europe. He mostly expressed that the NHL's interest lies in exposing Europe to the NHL game. Daly and the others kept their answers short on this one. Leading up to the lockout, there had been some internal talk of a "play-in" round for the bottom two seeds in each conference, but that mostly was about generating additional revenue before the lockout. Since the lockout occurred, there has been NO talk. Daly provided background on the league's Olympic history - about the fact that the NHL currently shuts down the league for two or three weeks in the middle of the season. They started going in 1998 and for three times since then, have had differing experiences each time. There are a lot of factors to the Olympic decision. Last year, 170 players were sent from the NHL. YES, it's a great way to showcase hockey; but Daly expressed concern that there is no brand id with the NHL. The NHL has not seen a "tangible benefit from shutting down." There will be an agreement in the next CBA. As much as this event was about roundtable discussions between some of the industry's biggest names, it was also about networking and giving students the chance to talk to these "big names." After his discussion, Daly made himself available in the hallway to shake hands and answer questions from a long line of students. When I finally got my chance, I asked him how he would respond to a die-hard NHL fan's proposal that the NHL should let its players go to the Olympics, because the NHL owes it to its fans (who have stuck with the league pre and post-lockout) to allow for a competition every four years that showcases the best players in the world competing against one another. As I told him, I understand that there are some definite disadvantages for the league, but after awhile, it can't all be about the money. He responded by basically saying that the fan's opinion is extremely important, but it's not necessarily as clear cut as I was putting it (that most die-hards want the players to go). I understand his point. There are a lot of hockey fans out there who already think the season is too long and ends too late. These are also the fans who want to cancel the All Star Game. But the Olympics has provided lasting legacies for so many NHL players. Every true NHL fan knows about Peter Forsberg's postage stamp or Dominik Hasek's miraculous shootout performance against Canada in 1998. Even last winter, Ryan Miller became an instantly recognizable name in America because of his Olympic heroics. By not allowing NHL players to play for their countries, the NHL is effectively ensuring that its own fans won't watch hockey in the Olympics (and this probably means no one else will either). How is that good for the SPORT of hockey? 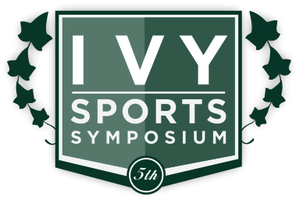 The fifth annual Ivy Sports Symposium won't be the last, and I'm already looking forward to next year's event. I believe that most of the discussions were video taped, so I will post links to the discussions with Bettman and Daly as they become available. Until then, it's time to start focusing on your division-leading Colorado Avalanche, once again.